How Can I View The Leads That Opt In To My Quizzes? To see leads that opt in to your quizzes without downloading a CSV follow the steps below. Navigate to "Leads" on the left hand side. 3. 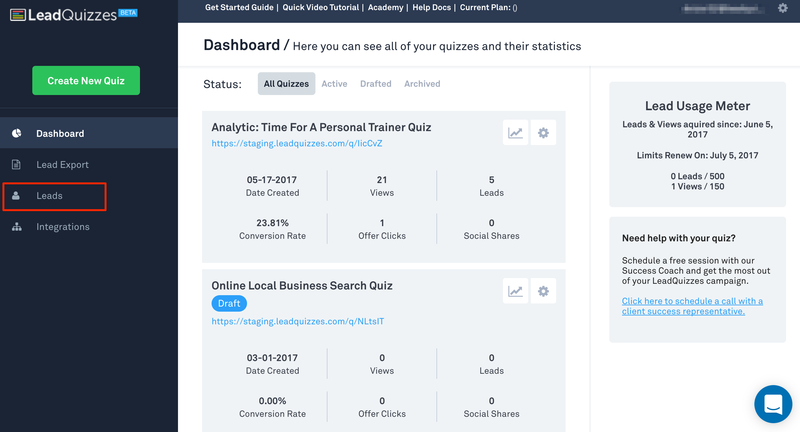 View your leads based on quiz, all quizzes or search by email by using the drop downs at the top. Notes: Leads with the same email address are merged into one lead record to prevent duplicates.